What’s better: Burger King or McDonald’s? McDonald’s obviously, because it’s considerably cheaper. But King’s new campaign in association with IT is pretty funny. It makes me forget about the fact their Big Mac and Chicken Legend rip-offs cost you more than a weekend in New York City. Somehow, the second-rate fast food chain managed to plonk some advertising in between the end of the horror film and the credits. 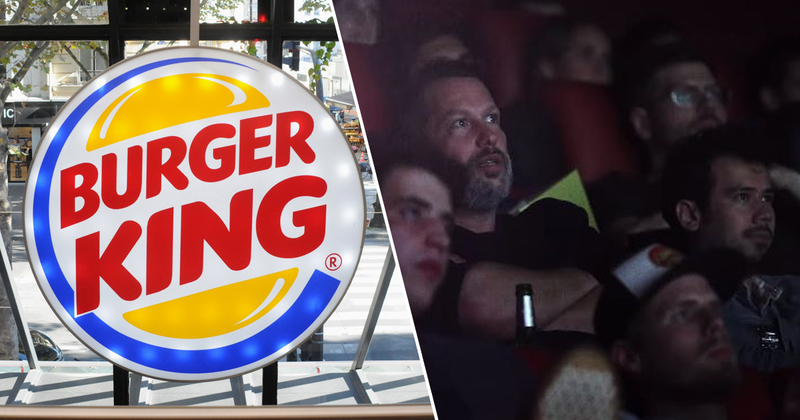 Video shows the moment German audiences were confronted by two spotlights: one that read, ‘The moral is: never trust a clown,’ the second being the Burger King logo. Watch as cinema-goers crack up at the troll. 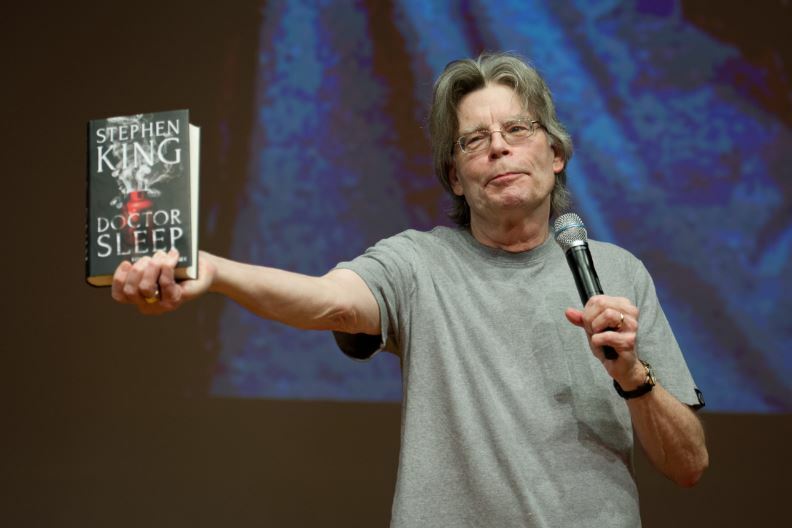 Stephen King recently announced that another two of his books were getting screen adaptations. The 70-year-old author has just seen the film It, adapted from his 1986 novel, become a massive box-office phenomenon. King spoke with Vulture recently about the prospect of The Stand being made into a TV show and Salem’s Lot being transformed into a movie. There’s talk about doing The Stand as an extended TV series, possibly for Showtime or CBS All Access. And there’s been some interest in developing Salem’s Lot as a feature, probably because people are saying, ‘Well, we took an old miniseries called IT and turned it into a phenomenon, so maybe we can do it with something else’. King was also asked during the interview how long his stories ‘linger’ with him once he’s finished them. I care about them all. I care about some of them more as books than as movies. I do have a special place in my heart for a miniseries called Storm of the Century because I thought everything worked there — it was a dream project. There was another original miniseries I did called Golden Years that I have a place in my heart for, and some of the books like Lisey’s Story and 11/22/63 and Under the Dome mean a lot to me because I can remember writing them in this kind of dream state, feeling like nothing could go wrong. I keep them all with me, and if somebody asks me about a character or a piece of plot from the books, I’m never in a position — and I bet James Patterson would be in this position — where I’d have to say, ‘Oh, gee, I don’t remember that at all. It was so long ago!’ I remember them all. They’re all my friends, and some of them are my lovers, if you know what I mean. 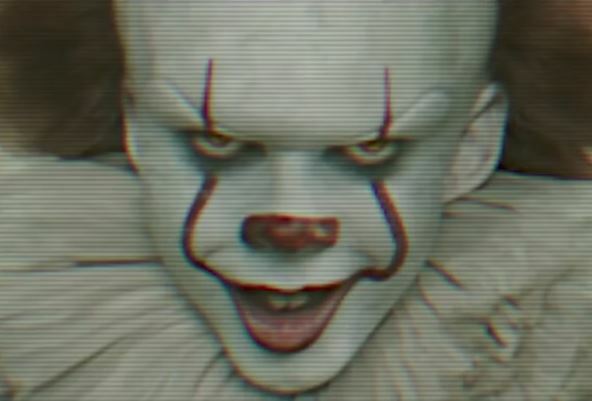 Last week, Hollywood finally announced the release date for the It sequel. New Line Cinema and Warner Bros. announced the sequel will hit theatres, including IMAX locations, on September 6, 2019. The film also had the biggest opening weekend for a horror movie ever, more than double the $52 million Paranormal Activity made and nearly triple that of The Conjuring in third place on $41 million. One of its screenwriters, Gary Dauberman, has closed a deal to pen the screenplay for the sequel, which will reportedly take place in the present, when ‘The Losers Club’ are all grown up. Director Andy Muschietti is expected to return, alongside producers Barbara Muschietti, Roy Lee, Dan Lin, Seth Grahame-Smith and David Katzenberg.